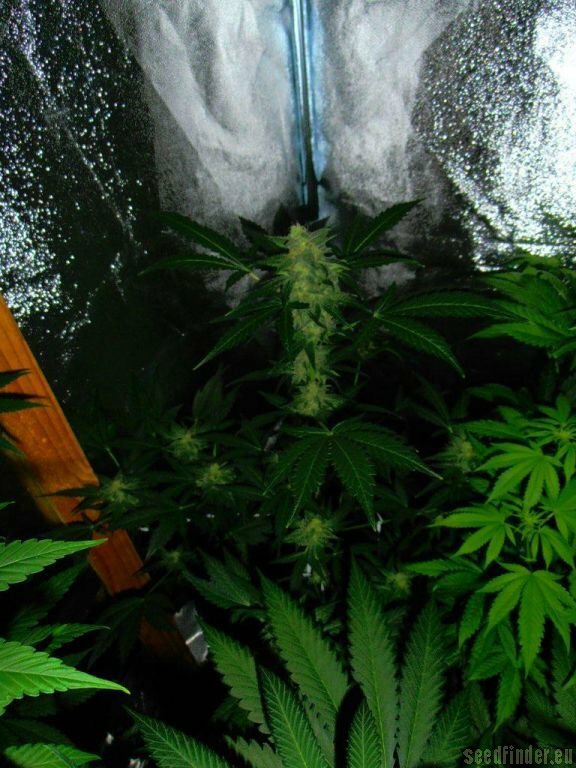 This vigorous strain develops following a typical Indica pattern with a giant main cola and many strong side branches loaded with solid and compact conical buds. In good conditions the plants can easily grow taller than a meter. Its strong smell combines an intense citric undertone with the sweet and fruity Lowryder scent. Indoor yields are so high that Auto AK can compete and win against most traditional cuttings. Also, it is very resistant so it can be grown outdoors yielding with high efficiency in every condition. The effect is calming, powerful and long lasting, suitable for relaxing time.